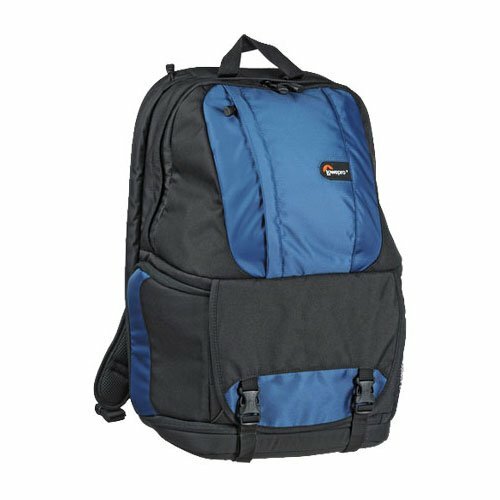 If you are on a budget, looking for a backpack that can hold full sized professional dslr with 2-3 decent sized lenses and stuff like a laptop pc, spare batteries, lunch box and may be a jacket. Then look no further. 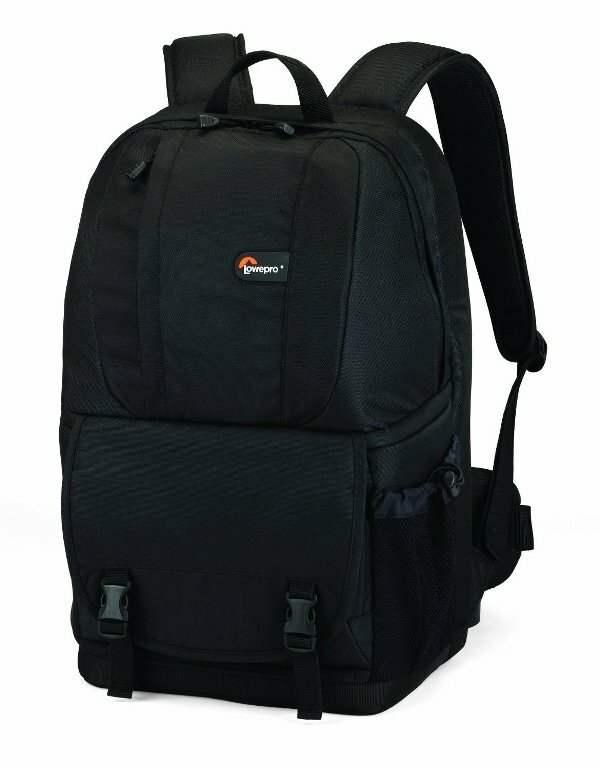 Just take my word and buy the amazing Lowepro Fastpack 250 Camera/Laptop Backpack without a second thought. This backpack is not too big to become a burden yet not too small so you have to compromise over what to pack. Also the camera compartment is very spacious with adjustable dividers which is pretty amazing for the price it is available. There is a lot of padding to protect your gear and the straps are also very ergonomic and comfortable. 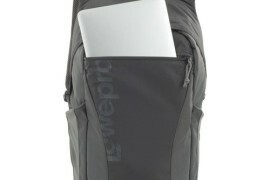 However I would have loved to see an all weather cover, but you can’t really complain as it is an entry level backpack. Overall there is enough room to hold supplies of few days. Also if you are a frequent flier, this bag would be a breeze to carry around as the size is perfect to fit in the over head compartment of most air-planes. Yet rest assured this bag is sufficiently spacious. 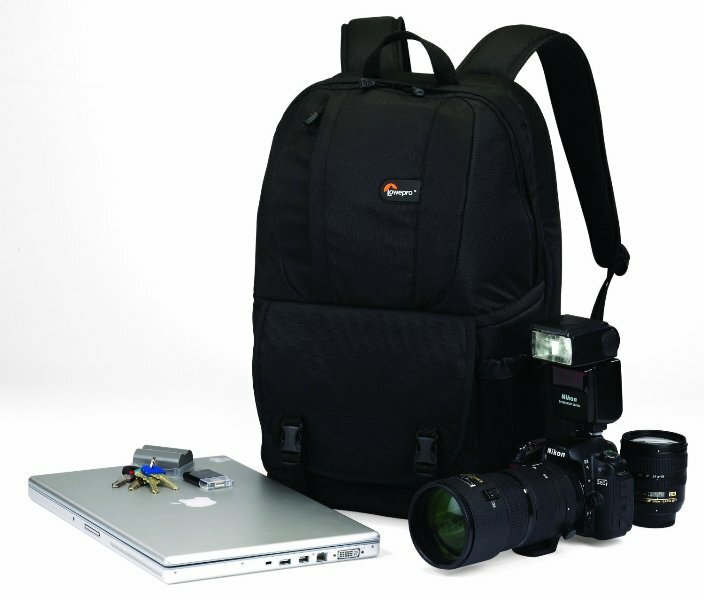 Price of Lowepro Fastpack 250 Camera and Laptop Backpack is $69 Approx Get Latest Price! These are the links from affiliate partners & e-marketers I trust such as Amazon, Aliexpress and Adorama. I have carefully hand-picked them after extensive research to get you the best possible deal (lowest price and shipping). Using these links will save you a lot of hassle in search of a reliable source and price comparisons. How much can you fit ? Full frame DLSR with attached zoom lens (can fit a mounted 70-300 mm easily) along with 2-3 extra lenses, flash and other accessories like batteries, charger etc. A 15″ Laptop with charger , a Water bottle, a tripod (tuck on the side), flash cards, documents and some personal items. How much Comfortable is it to carry around ? I would give Lowepro Fastpack 250 Backpack 7.5/10 marks for comfort. The backside padding is covered with a soft breathable fabric that offers comfort for all day wearing. Shoulder straps are not heavily padded but do the job. Also the camera compartment is accessible from the side so you can take off one shoulder strap, hang it in your front and get your camera out without putting the whole bag on the ground. This whole process takes less than 20 second and in my opinion it is a very convenient way to access your gear. Lowepro has provided clamp locks to limit the opening of camera compartment from the side and this insures that you don’t accidently drop rest of your stuff while taking out the camera. A very clever and well implemented feature I would say. Grab handle is there on the top in case you need that as an alternative way to carry around. And even fully loaded the bag has only limited depth to give you enough room for turning around without knocking off stuff in tight spaces. When it comes to the space division and planning, Lowepro has really shown the excellence of its clever designing in the Lowepro Fastpack 250 Camera/Laptop Backpack. There are tons of pockets with enough room and sub divisions to sort all kind of stuff. The main space is divided in three compartments, the lower one for the camera, the upper one for extra stuff and the side pocket for a laptop and documents. The upper compartment provides plenty of space for personal items (lunch, jacket, sunglasses, etc) and includes built-in key fob, small Velcro pockets to hold a cellphone, pens and a stretch-mesh pocket where you can stack your charger, extra battery or some other stuff (I usually keep a hand-sanitizer and napkins). The lower camera compartment is very very spacious and can fit tons of lenses with full frame Dslr mounted with a pretty big zoom lens. This compartment is accessible from the side as I mentioned above and provides easy access to the camera without taking off the bag completely. The third compartment is meant for fitting in a full size laptop and is accessible from the side only. For the price this is the only bag you will find in the market with a full size laptop pocket along with so much of space for camera and lenses. Additionally there are two more small and flat pockets on the top lower and upper compartment. Both of them are not able to expand thus limiting the amount of stuff you can stuck inside them. Still you can expect to stack in some plastic bag to safeguard you from weather as this bag does not comes with an all weather cover. Also they are big enough to hold something similarly sized as a battery charger. One stretchable mesh pockets is there on one side to offer great storage for water bottles or additional equipment like a small tripod (Don’t expect to fit any medium or large ones). Built-in memory card pocket is there inside the hatch of camera compartment to provides a convenient place to store spare memory or may be some cash. Some other Cool Features ! One of the coolest feature I love about this bag is the ability to access your gear without taking it completely off and the two front flaps that comes with a clamp lock and limit the zip-locks on your camera compartment from opening completely. This is an additional security feature that prevent your gear from accidently coming out and hitting the ground when you wish to take just your camera out. For rest of the time you can simply unlock the clamps and gain full access to your camera compartment. 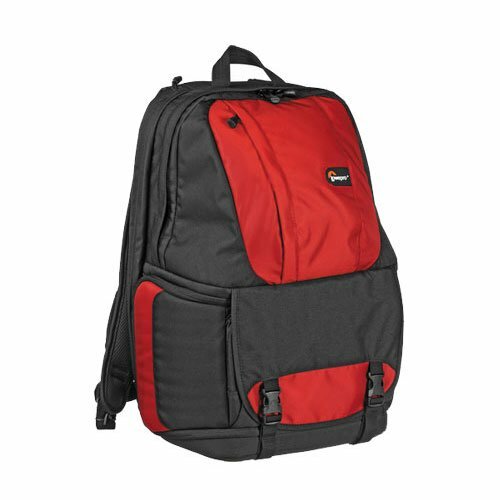 Also Lowepro is selling Fastpack 250 Camera/Laptop Backpack in three colour variants : Black, Red and Arctic Blue. Clever Design for easy access and concealing your expensive gear. No hooks or loops on the sides to tuck extra stuff like a tripod or light stand. Side-pocket is good for just a water bottle. 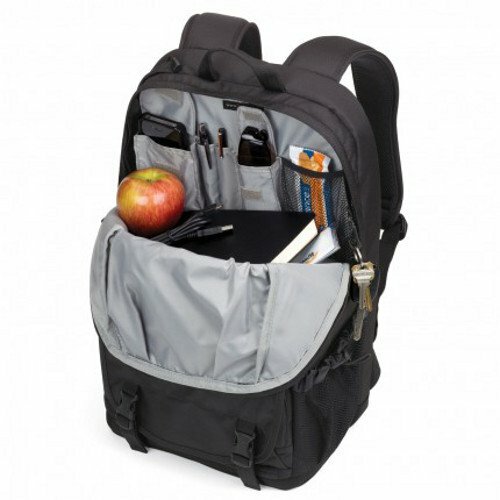 So would I recommend this Backpack? Well if you are out there in market to get a backpack in which you can fit your Dslr with 2-3 lenses, a laptop and some other personal items, Lowepro Fastpack 250 is your best bet under $100 for now. With all the features I mentioned above this bag is a steal for the price it is being sold. If you are not that much on a budget there is this Lowepro Photo Hatchback 22L AW Backpack available for some extra $10-20 and comes with the ability to transform it into a regular use backpack by removing the detachable camera compartment. 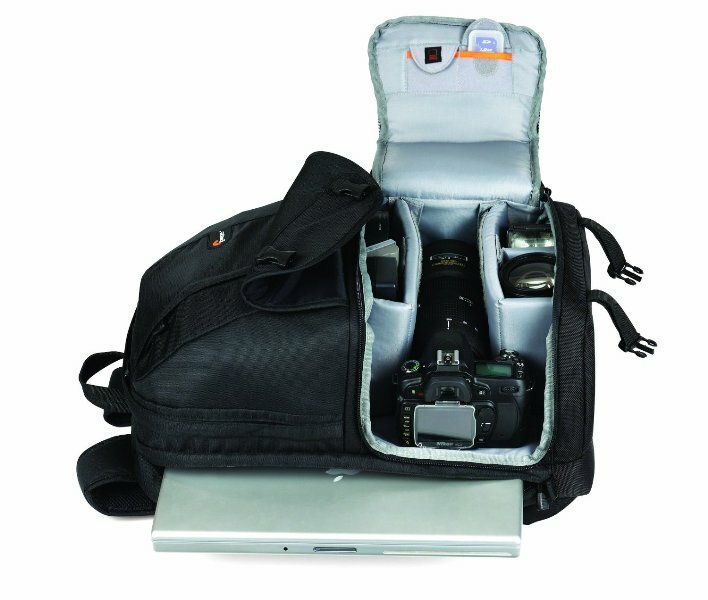 Though when loaded with camera and lenses it can not hold a full fledged Laptop/Notebooks unlike the Lowepro Fastpack 250. Still the build quality is better and price is sweet. If you can loosen up your pockets a little bit more, you can consider Photo Sport 200 All Weather Camera Pack by Lowepro which sell for something around $150 mark and is my favourite hiking bag in this price segment. 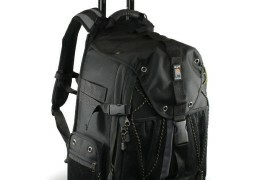 It is versatile, spacious, comfortable and fits decent amount of gear and worth considering.